I having been contemplating some “re-visits” for a while – I love the idea of following someone’s career development in real life – to see how their work is progressing, what new ideas they have, to see how they’ve grown in their business, and to see where they’re headed next. So I am absolutely thrilled to be able to re-introduce Nicky Ovitt to you! 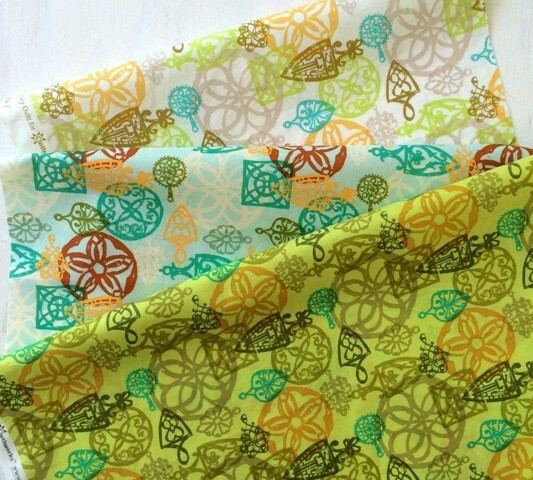 A bit over a year ago, I featured Nicky’s sweet surface designs here, where she talked about her process of combining hand-drawn inks with digital, about her aim to keep a sense of freshness and naivety in her designs, and her desire to develop fabrics for the home-sewing market. Look at how stunning her new work is!! Layers upon layers, gorgeous rich colours, and homey textures. 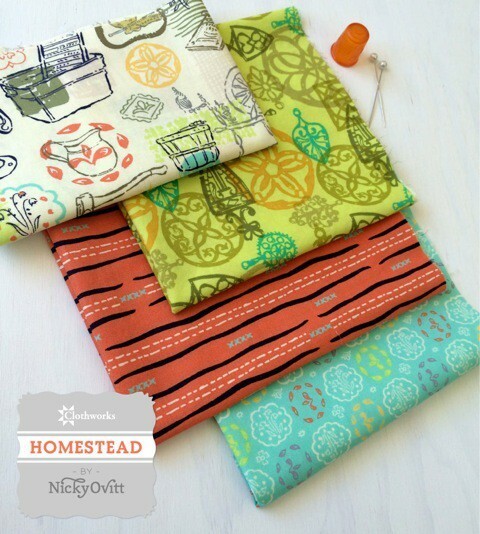 It’s her new collection available through the Seattle-based Clothworks, called Homestead. 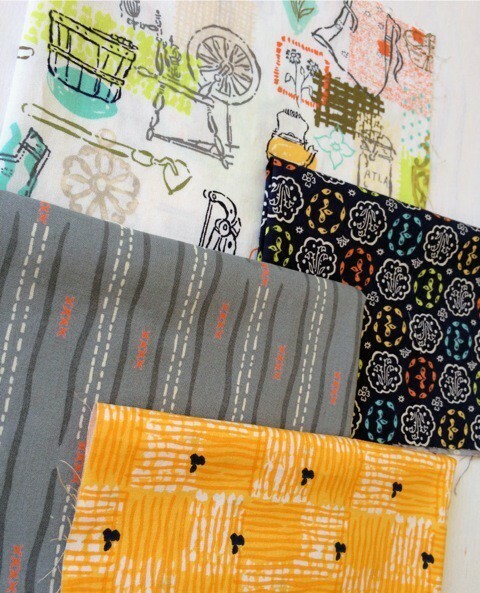 The designs feature many of the tools used in a frontier woman’s workday – handmade basketry, laundry tubs, and darning mix with snippets of kitchen wallpaper and iron trivets. She skilfully reinterprets these through a contemporary aesthetic, but still manages to maintain a retro feel through the use of colour and texture (you can read more about Nicky’s process here). Nicky is justifiably proud of the new collection and contacted me to show it off. I took the opportunity to ask her a few questions, and find out what it means to get a big licencing agreement. Your new work is so much more confident – what do you think has been the gamechanger for you? Is there a specific thing that has pushed you or made you feel more comfortable with your work, or do you think it is just a natural progression that comes with sticking to what you love because it’s your passion? 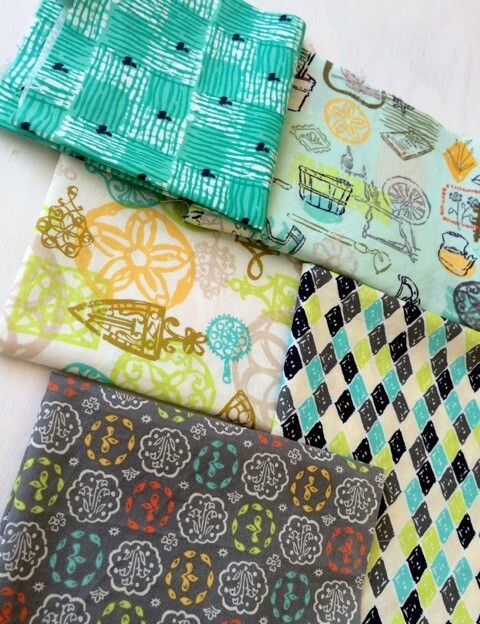 Having a licencing agreement with a substantial company like Clothworks is a great thing. For people who are new to surface design, how did you get the licencing arrangement, and how does the licencing arrangement work? 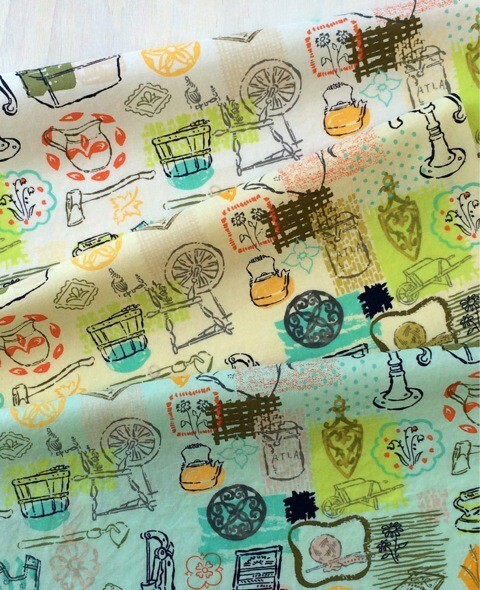 “I’ve kept a running list of my favorite US fabric manufacturers since beginning my surface design adventure. I was not sure I was ready but I’m finding out I might never think I’m fully ready. So, I researched each company’s submission guidelines, studied their current designers and range of styles, and put my best introduction letter together, with a few jpgs of collections I thought were my strongest. I was doing all this exactly one year ago this month and at that point I already felt like I was 6 months to a year behind what I had wanted to do. But I’m glad I waited. My website was revamped by then, I had a stronger idea of what I wanted to say and my work looked more cohesive. Do you have any specific goals on the horizon at the moment (long OR short-term)? If so, what are they and why are they important to you? “I’ve decided that although I have a dream list, I don’t attach certain companies to the outcome. It might surprise me what comes along or what company takes interest. Could not agree more Anna! So thrilled to see such great development in Nicky’s work.